We work on WordPress projects. We want to adhere to a single source of truth when it comes to coding standards when coding themes and plugins. The obvious tool on the internet is to use phpcs, short for PHP Code Sniffer. Awesome, let’s install it! That's helpful... So I set out to solve this and document, as I got told it was easy and installed without a glitch. Turns out the problem is that you have MAMP installed. MAMP overwrites a couple of things in your system, one of them being your php for obvious reasons. So the php your website runs on on localhost is a different php than the one that shipped with your Mac. There’s pear, so now we need to tell the system to use this directory instead of the default. This will add that line to your .profile file. Depending on the *sh you’re using, the execution logic, etc, you might need to change that to one of these: .bash_profile, .zshrc, .bashrc. I opened my .zshrc file and edited the export PATH line (I already had one). 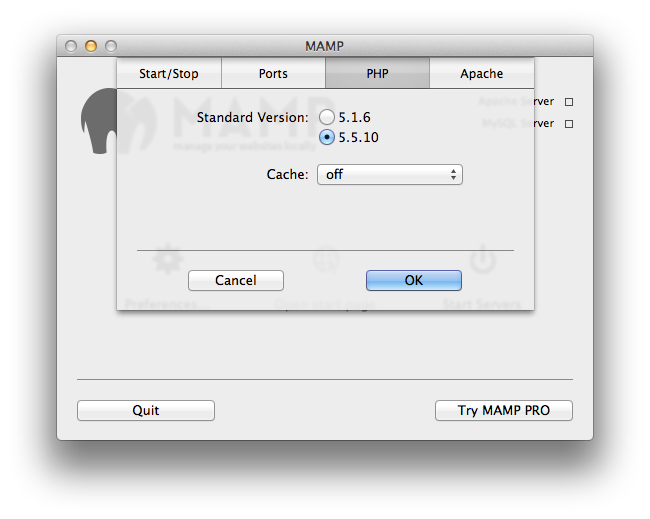 Make sure to put MAMP’s php path in front of all the others! If you get that, great! If not, something is wrong. Read the above again, or get in touch to solve this. This makes all the files in that directory executable. I’m not entirely sure why you’d need sudo at this point. Generally speaking sudo is a bad idea if stuff works without sudo. If not, something went wrong. You most probably gave a wrong path to the phpcs config.set command. Install the phpcs plugin (Cmd-Shift-P -> Install Package -> phpcs). If that doesn’t come up, you might not have Package Manager (install that first), or you might have already installed phpcs. Check by listing your packages. Open up the package’s preferences file. Preferences -> Package Settings -> PHP Code Sniffer -> Settings — User. The phpcs_executable_path is the same that you get when you do which phpcs. If everything went well, upon save Sublime will complain about all the things you missed. Once done, open up Linter Phpcs’s options page, and click on the Open README button. 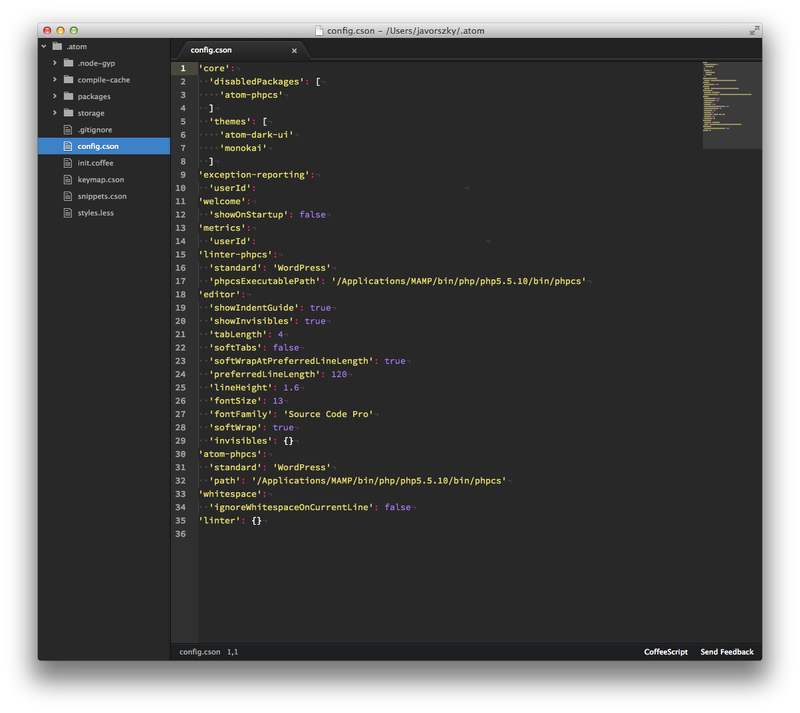 Grab the bit about the configuration, and paste it into Atom's config.cson file. You have to paste the settings for the phpcsExecutable, as it doesn’t automatically come up in the GUI of the plugin’s settings. Set it to your phpcs’s path. Save. Set the standard in the GUI of the plugin. Watch Atom complain. A lot. Why do we wear watches on the left hand?